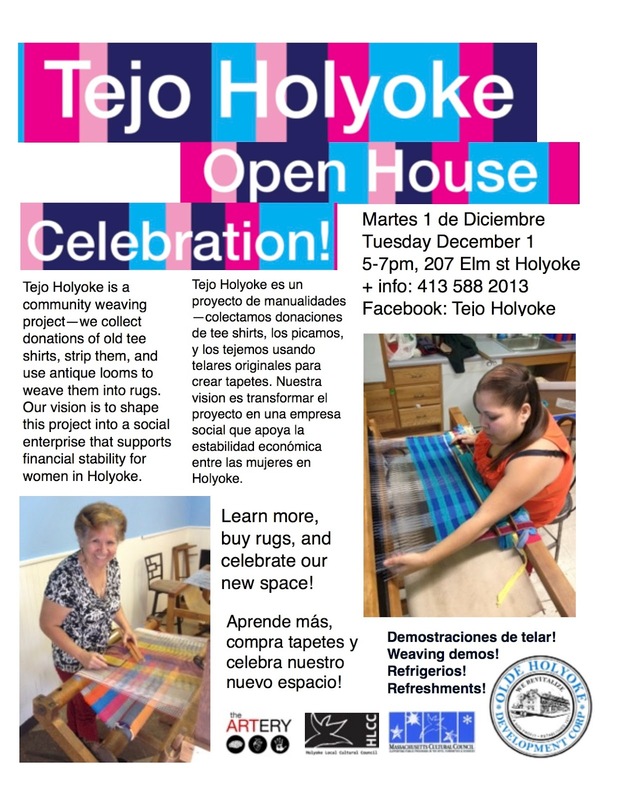 Tejo Holyoke, a community weaving project for women in Holyoke, collects donations of old tee shirts, strips them, and uses antique looms to weave them into rugs, placemats and other woven goods. Women who take part are trained in the weaving process from start to finish, in a environment that provides opportunities to exercise creativity, develop a broader social network in the community, and accrue leadership, entrepreneurial and workforce skills. Weaving is accessible, therapeutic, creatively satisfying. Weaving together creates a stronger community and a positive sense of place. Our vision is to become a social enterprise dedicated to launching women in Holyoke on pathways to financial stability. There are many incredibly bright and talented women in Holyoke who have lots to contribute to their communities but are hindered from fulfilling their potential, by language barriers and other social and economic blockers. Tejo Holyoke offers a means for women to put their talent and energy to use for the greater good, while connecting with each other and with resources in the community that can help them build the futures they want. The project has been in operation for two years in Holyoke, first as part of a parent program at Kelly School, then as a grassroots community project based out of the Sargeant West Community Center, and now out of our own designated space at 207 Elm Street. It is 100% volunteer run, and working to incorporate into a non-profit social enterprise this year in order to support the Tejo Holyoke weavers and program operations.